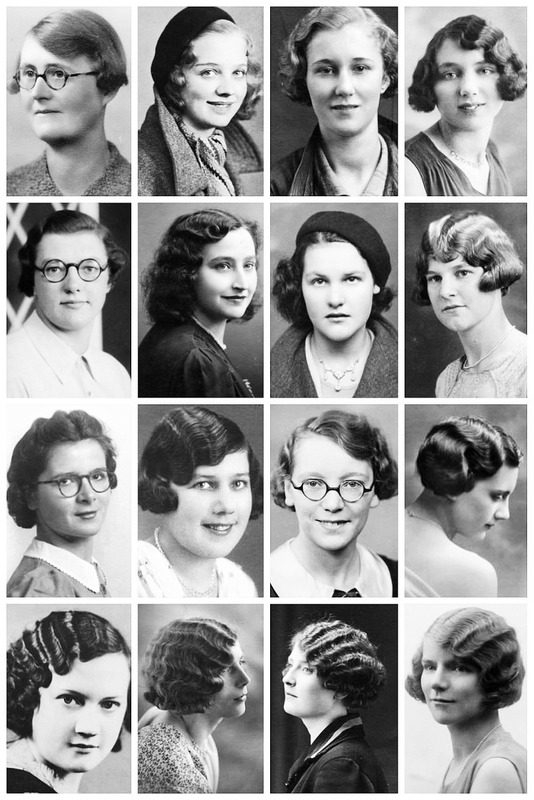 In the 1930s, the major trends for hairstyles were all about waves. 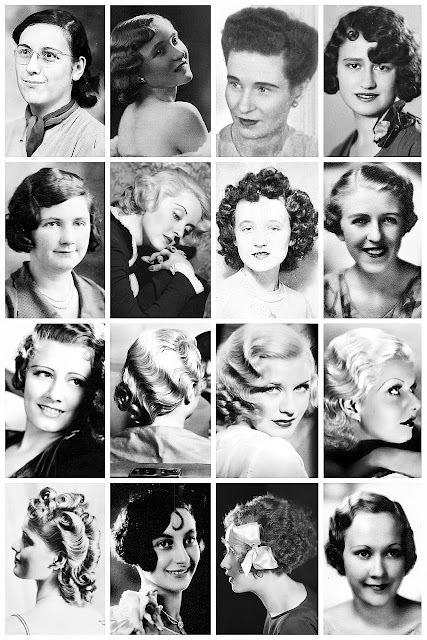 With a softer look than the sleek bob and tight ringlets of the 1920s, women began wearing their hair in more feminine styles with parts sweeping to the side or down the middle. 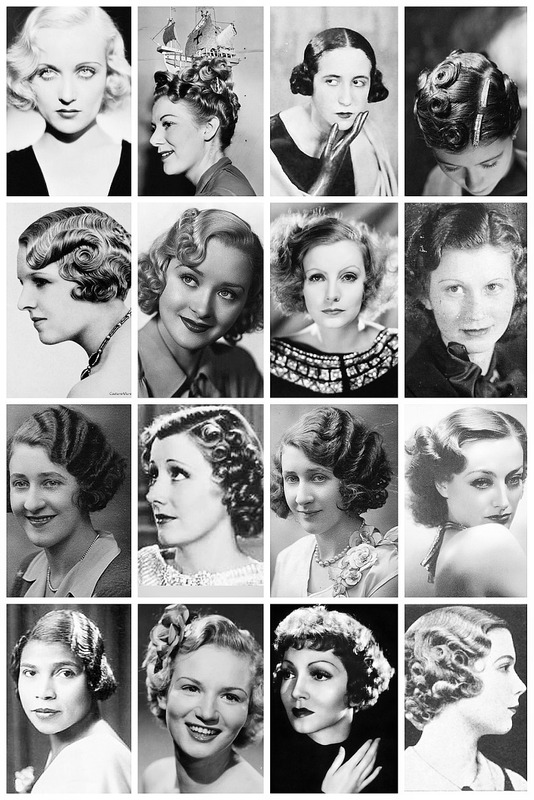 At the beginning of the decade, short hair still reigned with men’s hairstyles as well as women’s hairstyles. 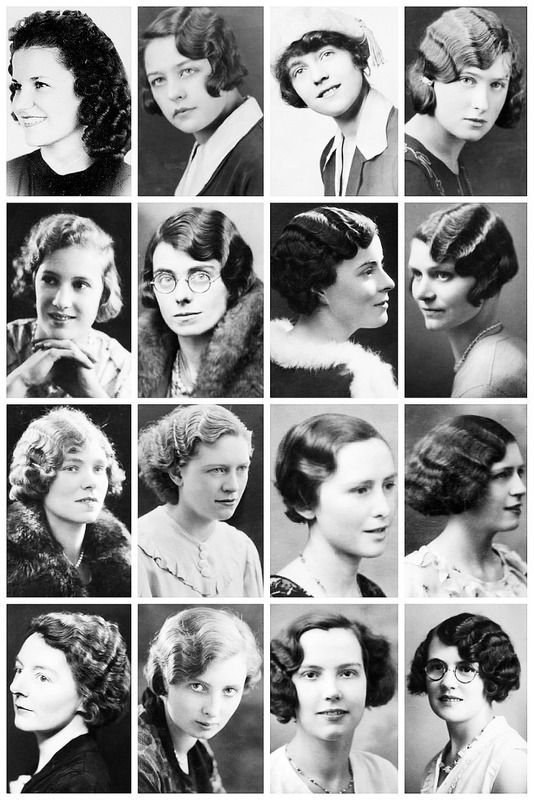 But as the 1930s marched on, women started opting for longer hair. Below is a collection of 1930s photographs, depicting some of the hairstyles of the time, like the perm, softwave bob and the coxcomb curls, and one lady even sporting a boat ornament on her head.